Home » Resource Center » Health and Wellness » Don’t Forget Your Flu Shot! Don’t Forget Your Flu Shot! No one wants to deal with the flu, but at this time of year, unfortunately, influenza typically makes its rounds through neighborhoods, schools, malls, restaurants and just about anywhere else people gather. The flu isn’t “just a bad cold.” It can lead to serious health problems such as pneumonia, bacterial infections or hospitalizations. Tragically, the flu sometimes even can lead to death. That’s why National Influenza Vaccination Week (Dec. 2-8, 2018) is so important. The Centers for Disease Control and Prevention (CDC) established National Influenza Week in 2005. The goal was to inform people of the importance of continuing flu vaccination through the holiday season and beyond. Once the holidays kick in, people typically are more reluctant to take steps to get the vaccination. Estimates from past flu seasons have shown that few people get vaccinated against influenza after the end of November. It’s not too late. As long as flu viruses are spreading and causing illness, the flu vaccination is an important tool to protect as many people as possible. Getting vaccinated later might even be beneficial and should be done as soon as possible before the flu spreads through your community. 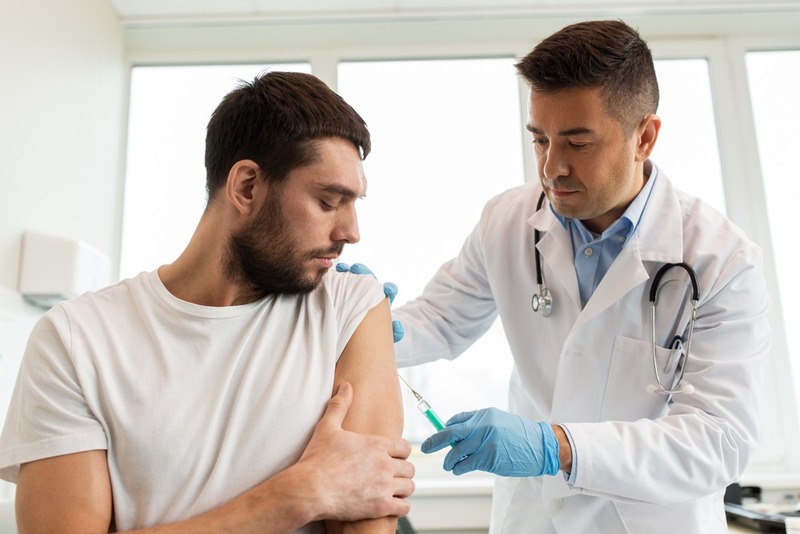 Even someone who hasn’t been vaccinated and already had a bout of the flu still may benefit from the vaccination since the vaccine protects against three or four different flu viruses. Beyond those statistics, flu vaccination has been shown in separate studies to be associated with reduced hospitalizations among people with diabetes and chronic lung disease. The vaccination helps to protect women during and after pregnancy. A flu vaccine might be life-saving in children, as a 2017 study showed that the vaccination can significantly reduce a child’s risk of dying from the flu. Even those people who still get sick have been shown to have less severe symptoms after having the vaccination. So, don’t forget that flu vaccination. Do it not only for yourself but for those around you, especially the people most vulnerable to serious flu illness.